Brass-plated steel sheet. Length 10.4 cm, width 1.4 cm. 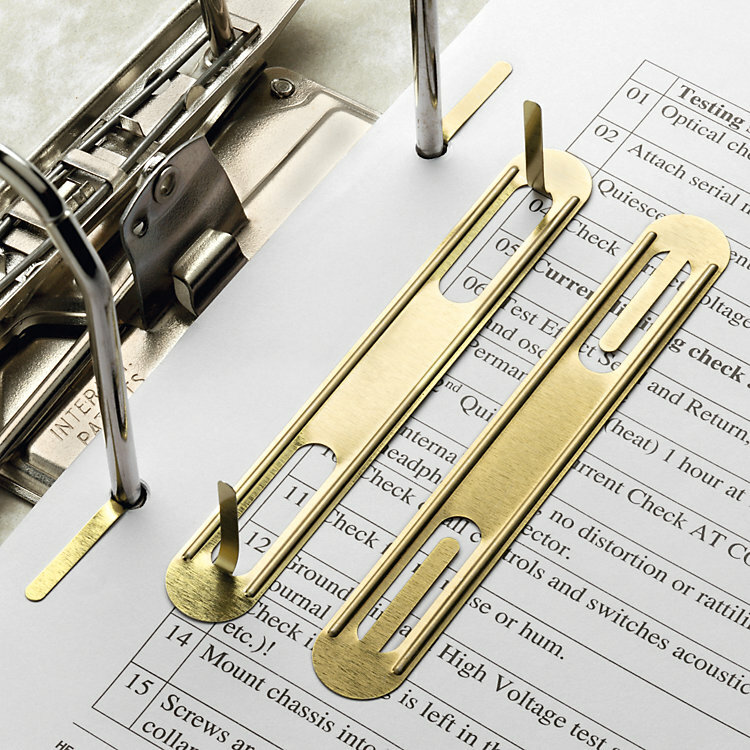 With these filing clips you can bundle punched paper sheets with two tongs and, at the same time, can file them in a way that they do not tower over the edges of the binder or the inserted register, which is the case when you use normal filing clips.